Do crystals just *not work* on some people? Talk to anyone who’s into crystals, and they’ll quickly convince you that gems are the holy grail of woo-woo wellness swag. Need to slay a big presentation? Make like Olympian Adam Rippon and tuck some lucky tiger’s eye in your pocket. Want to call a little more love into your life? Sleep with a hunk of rose quartz under your pillow, à la supermodel-turned-beauty boss (and Well+Good Council member) Miranda Kerr. Or, for a refreshed complexion, you could massage your face with a tourmaline roller like the one Khloe Kardashian swears by. Yet all this gemological glorification makes it extra disappointing if you’re anything like me—someone who’s amassed a large collection of crystals but doesn’t have a connection with any of them. When I hold them in my hands, I don’t feel heat or buzzing, like so many other people do. (Including my own mother.) I’ve tried placing them around my home, wearing them as jewelry, and stashing them in my bra, but they have zero effect on my mood. Honestly, I get more of a boost from surrounding myself with fresh flowers and art as opposed to, say, one of my many dime-sized pieces of amethyst or citrine. Perhaps some of us just aren’t crystal people, in the same way that not everyone can digest dairy or tolerate cats. All of this led me to wonder whether I was doing something wrong—Using incompatible stones? Caring for them improperly?—or if my crystal radar might be in need of a tune-up. Or perhaps some of us just aren’t crystal people, in the same way that not everyone can digest dairy or tolerate cats. To find out, I tapped a few experts for their thoughts. Because, the thing is, I want to be a crazy crystal lady—and I have a feeling I’m not the only one. Those who believe in their power say that crystals’ symmetrical atomic structures carry healing frequencies that can help to recalibrate human energy when we’re near them. Okay, so the “healing” part hasn’t been backed up by mainstream scientists, who generally chalk up gems’ impact on people to the placebo effect. But if what crystal evangelists say is true, then why wouldn’t you want an army of little energy healers at your beck and call? 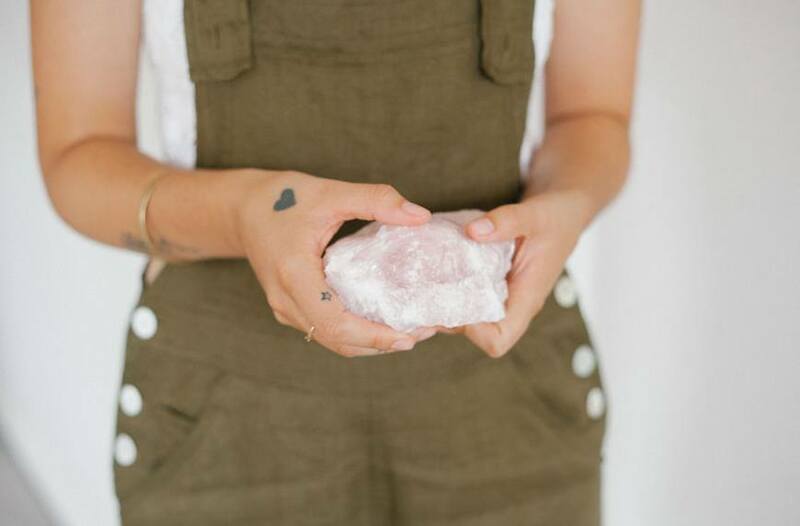 Read on for reasons you might not be feeling the crystal love—and some tips on how to deepen your connection. If you pick up a crystal and hear crickets, the first thing you need to remember is that you’re not alone and you shouldn’t give up. In fact, some of the wellness world’s biggest crystal devotees experienced the same thing early on in their journeys. It’s this lack of expectation that’s key, Patel echoes. 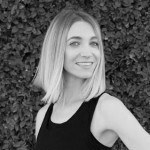 “Crystals are the most potent when we don’t try to do what our Western minds love to do: control and overanalyze,” she says. “Don’t get in your head about it.” And think of it like dating. It often takes a few hangs before you click with someone on a deep level, so don’t immediately write off a stone if you don’t feel sparks right away. That said, there is a way that people often block their crystal connection—by not slowing down and creating enough room for it to happen. In other cases, it could be about quieting your mind enough to let the crystals’ high-vibe energy come through. “I highly suggest getting outside in some kind of nature or listening to sound,” says Askinosie. After you’ve done that, she suggests placing a few stones on your body for 11 minutes when you lay down in bed at night. “Even if you don’t have this big experience of ‘Oh my god, I feel the love,’ you’ll feel slight energy shifts,” she promises. “Maybe you’ll notice you’re breathing a little deeper, or maybe you’ll feel a little calmer than you did 11 minutes ago.” Crystals or not, there’s no doubt this is something we could all use a little more of. According to Askinosie, another part of my problem might be the fact that I own too many crystals—and most of them were gifted to me, rather than ones I chose for myself. Her solution: Adopt Marie Kondo’s “does-it-spark-joy” decluttering method. Patel has a different take on this, however. “If you’re a very left-brained person, you may want to know the meaning of a crystal, even if you’re not feeling its resonance,” she says. Just by knowing what a crystal’s meant to bring forth in you—peace, abundance, protection—can sometimes cause you to feel those feelings when you look at it, especially if you’re not particularly sensitive to your surroundings. For instance, she says, you can work them into your beauty routine with Crown Works’ crystal hair comb or Pacifica’s Crystal Crush makeup line. If you’re musically inclined, you could throw your friends a sound bath with crystal singing bowls. Or you could sip on crystal-infused H2O with a bottle by Gem Water or Glacce. McCann agrees with this sentiment. “Simply put, we are all like snowflakes and therefore have different pathways of connection, healing, and attaining information for ourselves,” she says. “We all love gelato, but we all don’t like the same flavors, right?” If you’re not a crystal person, she says, you may end up resonating with essential oils, breathwork, sound baths, or floatation therapy instead. It turns out size does matter when it comes to crystals—and so does the difference between man-made and natural stones.